old papers texture for background. 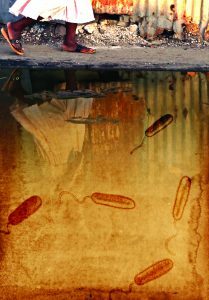 A historic variant of the deadly Vibrio cholerae O1 strain has likely been present in Haitian aquatic environments for several hundred years and has the potential to become virulent through gene transfer with a strain introduced by UN peacekeepers, according to scientists at the University of Florida’s Emerging Pathogens Institute. 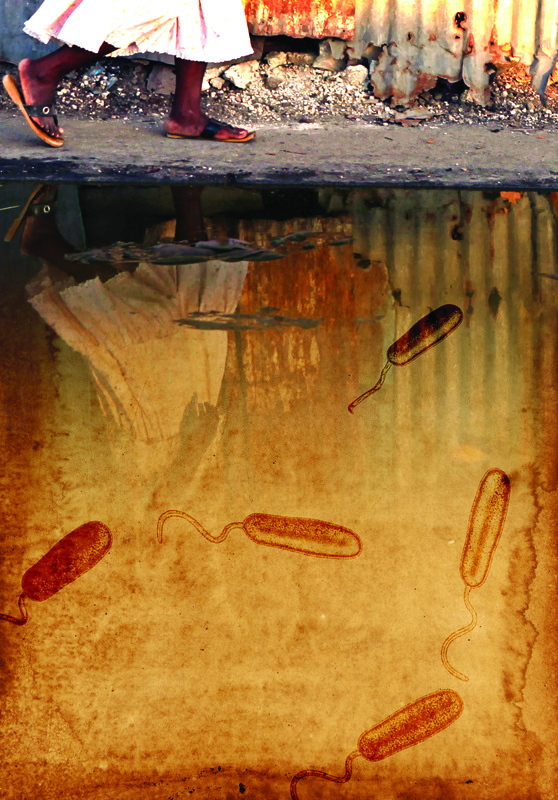 “Since the 2010 earthquake and cholera epidemic in Haiti, researchers have debated whether toxigenic Vibrio cholerae was already present in Haiti’s aquatic environments,” said J. Glenn Morris, M.D., a professor in the UF College of Medicine and director of the Emerging Pathogens Institute. Morris is a senior author of the study, published online in October in Scientific Reports. “While the strain responsible for the 2010 cholera epidemic was almost certainly introduced from outside of Haiti by U.N. Peacekeeping troops, this study suggests that cholera was present in Haiti at some point in the past, possibly as early as the time of Columbus. These ancient strains are now nontoxigenic, and consequently cannot cause cholera. However, their identification raises questions about whether these older strains might interact with the toxigenic V. cholerae O1 introduced by UN peacekeepers, becoming virulent in the process,” Morris said. Although V. cholerae bacteria are common throughout the world, the toxic strains V. cholerae O1 and V. cholerae O139 are primarily found in Asia and Africa. Investigators isolated two nontoxic V. cholerae O1 strains from estuaries in Port-au-Prince Bay, initially thinking that the bacteria were foreign toxigenic strains that had lost their virulence genes. However, on closer examination, they discovered that these bacteria were more similar to strains that caused the first cholera pandemics than they were to modern pandemic strains. “When we used the genomic data to trace the history of these isolates, we found that they shared a common ancestor with the modern cholera strains around 1548,” said Taj Azarian, a postdoctoral fellow at the Harvard School of Public Health and a former doctoral student in the UF College of Public Health and Health Professions. “This was well before any records of cholera in Hispaniola,” said Azarian, one of the main authors of the publication. Although the researchers suggest that these cholera strains may have been in Haiti’s aquatic environments since the 1500s, they admit that it is also possible they were introduced some time after that – becoming endemic, though not pathogenic, well before the 2010 cholera outbreak. Similarly, the researchers have not yet established the likelihood of modern, toxigenic cholera strains trading genetic information with these older strains, rendering the older strains harmful through the process. The bacteria analyzed in the study shed new light on the history of the pathogen, however. “These nontoxigenic strains are believed to be the progenitor of known toxigenic V. cholerae strains,” said Afsar Ali, a research associate professor in the College of Public Health and Health Profession’s department of environmental and global health and a faculty member at the Emerging Pathogens Institute. Ali is the co-first author of the paper, along with Azarian. Much like some languages share a common root, the genes that make up different strains of bacteria share a common ancestor. The researchers used a technique called phylogenetic analysis to determine the last common ancestor of the two cholera strains. 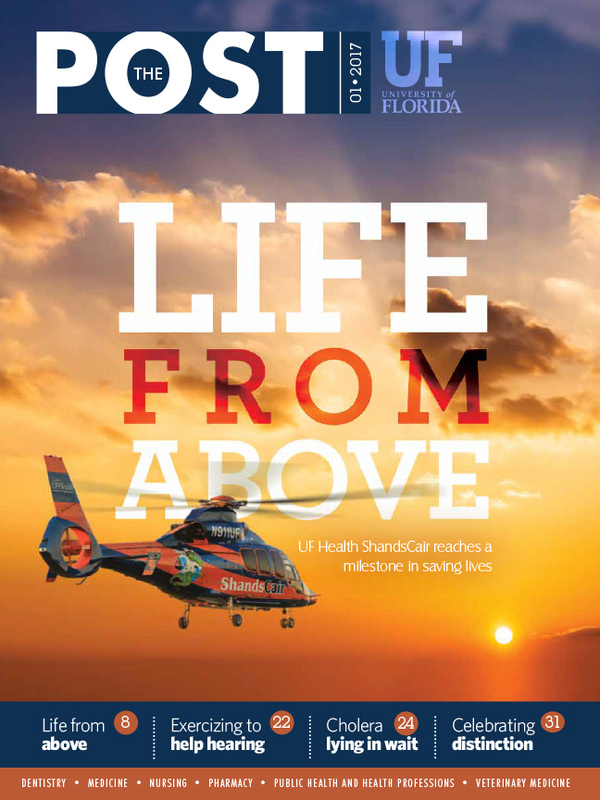 “To analyze the isolates we used a computational technique called molecular clock analysis, which allows us to date the origin of strains isolated from the environment,” said Marco Salemi, an associate professor in the UF College of Medicine’s department of pathology, immunology and laboratory medicine and a member of the Emerging Pathogens Institute. Salemi is a senior author of the study and oversaw the phylogenetic analysis. Underscoring the significance of these findings, he said the study shows that nonpathogenic cholera strains with the potential to acquire pathogenic genes have been circulating in this region for a significant amount of time, and that such bacterial reservoirs can potentially give rise to new epidemic strains. Azarian emphasized the need for increased surveillance. “As cliché as it sounds, if you don’t look, you won’t find,” he said. “Prior to the 2010 epidemic, no one was looking for cholera in Haitian waterways. It was only when we started surveillance for the epidemic strain that we discovered these isolates that provided insight into the evolutionary history of pandemic cholera.